Solan is approximately 60 kilometers from Chandigarh. It takes proximately 2 hours to reach Solan from Chandigarh through a taxi service. If you travel through a bus it might take longer as this is a hilly route so it’s important to travel to Solan through a taxi. Chandigarh to solan is a hill station travel. Travelling through a taxi will make your ride comfortable and safe. HireCab provides Chandigarh to Solan taxi on a regular basis, therefore, we travel on these roads on daily basis. You can travel to Solan for business purpose as there are some industries, for some personal use, or even you are planning for sightseeing. Shimla is approximately 40 km from Solan, approximately 2 hours away from Solan. You can also call us to know Chandigarh to Solan taxi pricing. It’s a very beautiful place. There are a lot of places of interest for sightseeing. Our professionally trained drivers can take you through these places safely and comfortably. We provide Chandigarh to Solan taxi at a very economical price. HireCab has all the Cabs which will suit your budget and always happy to help you! We are serving in this industry since last 7 + years. 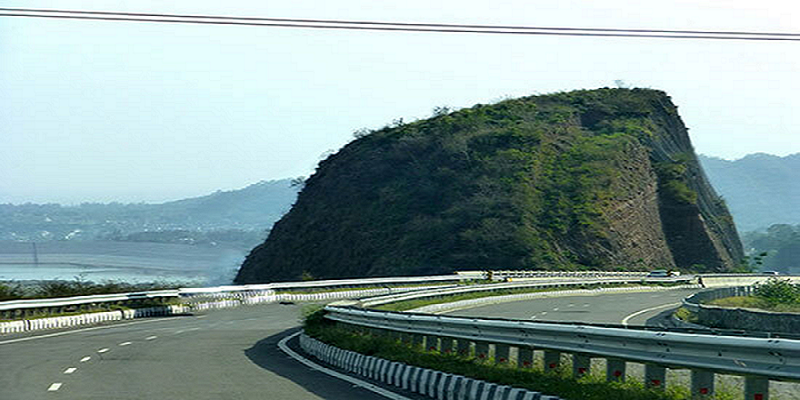 Travelling from Chandigarh to Solan with us will make your journey trouble-free. If you just want to check Chandigarh to Solan taxi price you can go down into the pricing section. Did you find what you were looking for? No, let me guess! Is this car package you are looking for if yes. Let’s go to the packages section click on the package icon and you will find most of the Cab packages for North India. If you need to discuss this over the phone HireCab will be glad to help you. For free suggestion and discussions call on the above phone no or send us a query. Are you looking for a taxi for a drop from Solan to Chandigarh or may be little further?. we’ll send one for you. “Solan to Chandigarh taxi”. Yes! we provide that service at very affordable rates. Our fleet has most of the taxies. We can drop you from Solan to Chandigarh or even any other place in Punjab, Haryana, Uttaranchal, Delhi etc. Send us a query to get a quote for the same or Call us at the above number. Great taxi service with low rates. Call anytime. 1) A local driver who is born & brought here will take you easily to these places. 2) Punctual driver and reliable service. If you want to attend a meeting, catch a flight. Rely on us. 3) Experienced drivers. Don’t’ worry about Local routes and chownks and sectors and all. Our drivers have been driving for years and years on these routes. 4) Great network of cars. Call us any time We provide you Cab. 5) Courteous and helpful drivers so don’t Worry about driver behaviors and attitude. Helpline always open. 6) Drivers are well versed in roads and areas so hassle-free driving in the streets or roads. 7) Highly competitive price yet a great service guaranteed! 1) The prices Above Quoted are one point pick one point drop. Multiple points pick or drop will cost extra as applicable. 2) Once you hired the Cab, Cab will go Non-Stop, If you need breaks or want to do sight scenes or do some shopping on the way or maybe want to meet someone. RS 100 per hour is extra for all cabs. 3) Prices quoted for Shimla Manali drop or return taxi is Chandigarh pick and local Manali and local Shimla drop, If it’s a drop off pick up outside Shimla there will be extra charges for that as applicable. 4) As in Hills you might suffer from Vomiting, we recommend either carry anti-vomiting medicine if vomiting done inside the cab, RS 200 extra for cab cleaning. Find Solan to Chandigarh distance. Main destinations are also listed here from Solan. Kindly note that distance and travel time mentioned here are approximate. Solan to Chandigarh Travel time is subject to vary it depends on traffic and weather. Find Solan to Chandigarh Travel time. Other main destinations are also listed here from Solan. Kindly note that distance and travel time mentioned here are approximate. Solan to Chandigarh Travel time is subject to vary it depends on traffic and weather. Not sure what car would best suit your needs? Don’t go any further. Our handy Taxi selection guides aim to provide you with all the necessary information to choose the right Taxi for your trip. Whether you need a Sedan Taxi, or for a more spacious vehicle for a family Like Innova, we help you make that choice! How to Select a Car for yourself! Innova 6&7+1 Better Yes yes Yes Yes Muv, Number 1 for 6&7 passengers, Better boot, and carrier available. Traveller 12&15+1 Better Yes yes Yes Yes 12 and 15 carrier capacity with a roof rack, push back seats from Force company. How much time does it take to reach Shimla from chandigarh? It takes proximity 3 hours to reach Shimla. Travel time vary from time to time.In season time this travel time might exceed till 8 hours. As per now road is under construction as well. Road is narrow. 80% of the road is hill station. How much time does it take to reach Shimla from Delhi? It takes approximately 8 hours to reach Shimla From Delhi. Delhi to Chandigarh it takes proximate 5 hours. 5 hours. It also depends on the traffic conditions. How's the wheather in shimla? Will i get the snow to see in Shimla? Snow in Shimla is very seasonal, in the month of June July August or April may you will not find any snow in Shimla. In winter you will find the snow in Kufri and nearby areas. How is a taxi day counted? Taxi day starts from early 6 a.m. in the morning. Day ends at 9 P.M, so approximately you get 15 hours. taxi, utilised within this time will be considered a for tour packages. taxi used beyond 9 P.M will be considered extra. Taxi used before 6 A.M will be considered as extra.There will be separate charge for taxi usage before 6 a.m. and after 9 p.m.
What will be the condition of the car? Hirecab.co.in Copyrights 2012-13, All right Reserved.